A 2016 Kia Sorento caught fire in Southern Hillsborough County with Ronnie Rivera behind the wheel. Rivera says it started with an explosion in the engine and black smoke and flames began blowing out of the engine area. Rivera’s story echoed the four other Kia fire victims we interviewed in recent weeks. In every case, the owner said they contacted Kia corporate but the manufacturer made no attempt to examine the vehicles. 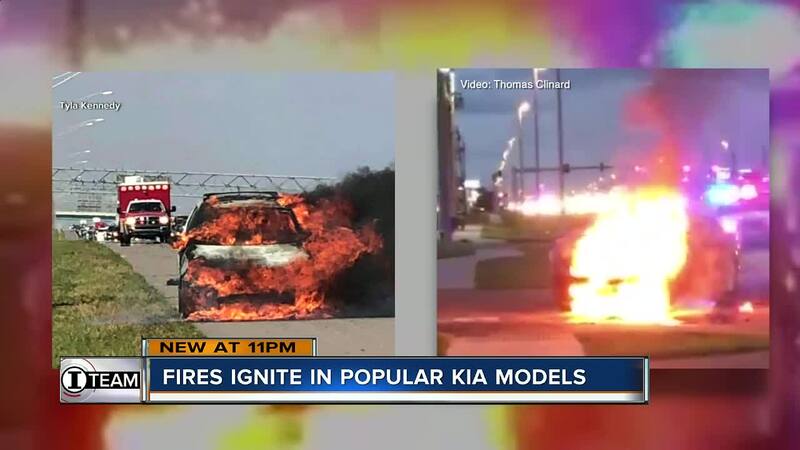 An I-team investigation documenting more than 60 Sorento and Optima fires involving 2011 to 2016 model years caught the attention of the Center for Auto Safety. Late Monday they submitted a petition for a defect investigation to the National Highway Traffic Safety Administration. 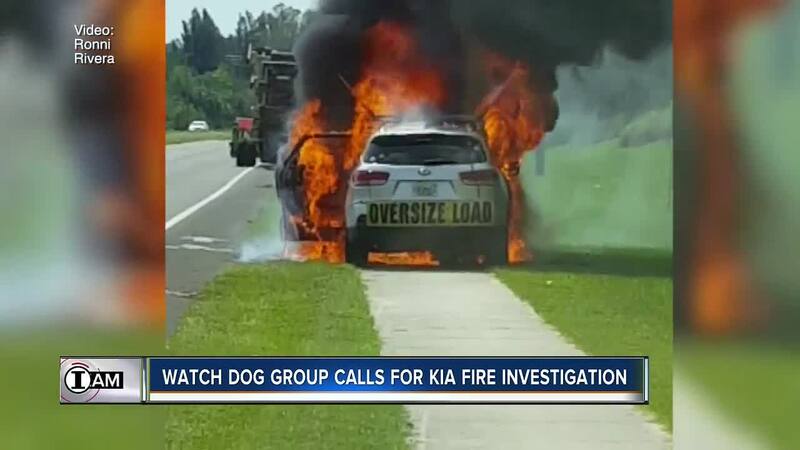 The petition asks NHTSA to investigate what it calls "a frighteningly large number" of non-collision related fires involving the 2011-2014 Kia Optima and Sorento. The Center for Auto Safety says consumers reported a total of 63 non-collision related fires in just the 2011 to 2014 model years. The formal request also includes two Hyundai models: the Sonata and Santa Fe. NHTSA says it will review the material and take any action it feels is warranted.